A viewer of the Valley Today show asked reporter Abby Furchner if I’d share more recipes from yesterday’s Christmas Treats Segments. 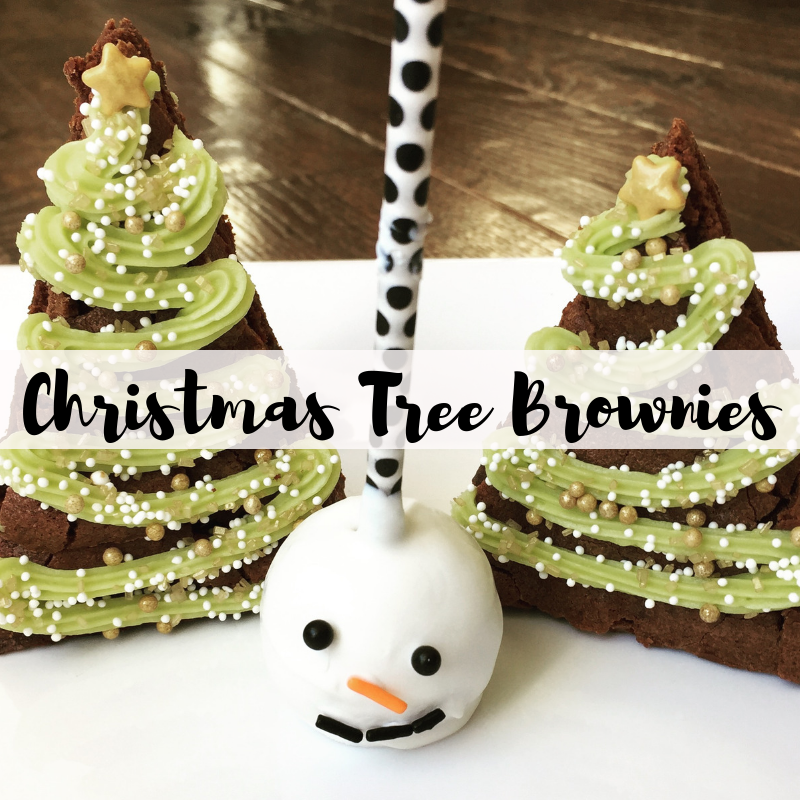 So here’s the recipe for the brownies I used for the Christmas trees. I wish I wrote down where I found this recipe, but as usual, I did not. I found it somewhere online, scribbled it down, tried it, and liked it so it went in the recipe box! It is not one I created. So, here goes! Butter a 9″x13″ nonstick pan. Melt the butter in a glass bowl in the microwave. Add sugar, eggs, and vanilla and mix well. In the same bowl, sift in the flour, cocoa, and salt on top of the butter mixture. Mix just until dry ingredients are incorporated. 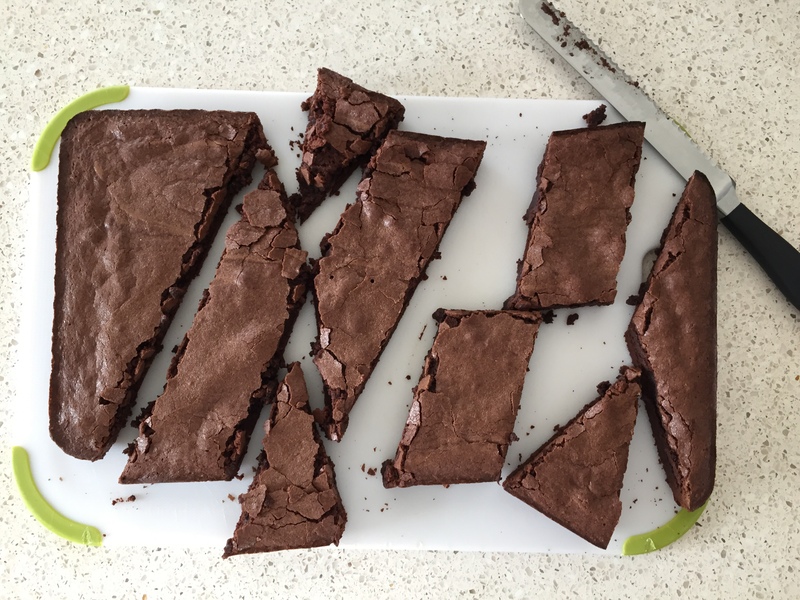 Bake for 30-35 mins. The edges should be firm but a toothpick dipped in the center may not come out clean. That’s ok. Don’t over bake or they will be hard and dry out quicker. Once done, let cool in the pan just long enough until you can handle it, about 10 mins. Turn out onto a cooling rack and let cool for about 10 more mins. Cut with a serrated knife, just barely scoring the top, then pressing firmly straight down, then through the crust at the bottom. For Christmas trees, cut four diagonals one way. Then four diagonals the opposite direction. Then make a cut (or separate cuts) down the center the long way. 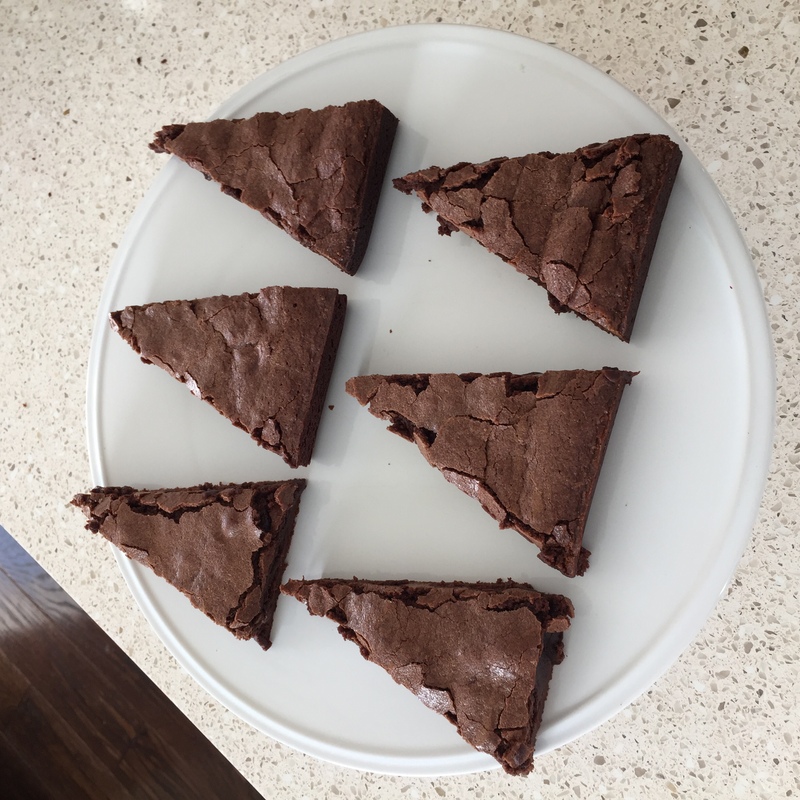 You should get 16 generously portioned triangular servings. Optional, frost with peppermint flavored butter cream dyed light green, top with sprinkles, and add a candy star. 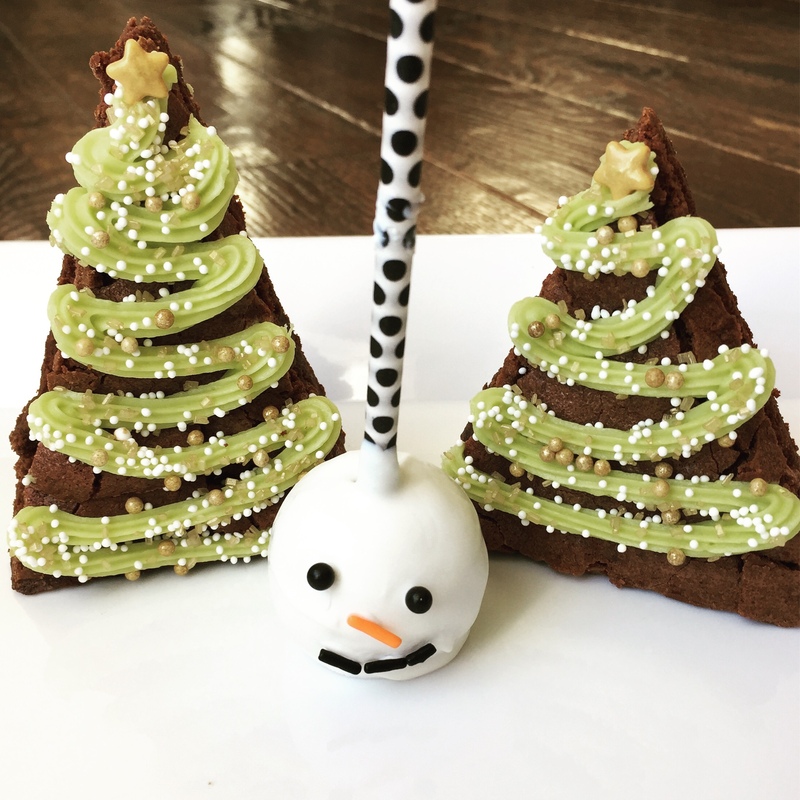 Or, simply dust with powdered sugar for a simple but elegant holiday themed brownie you can even use as a table center piece. I hope you enjoy these! 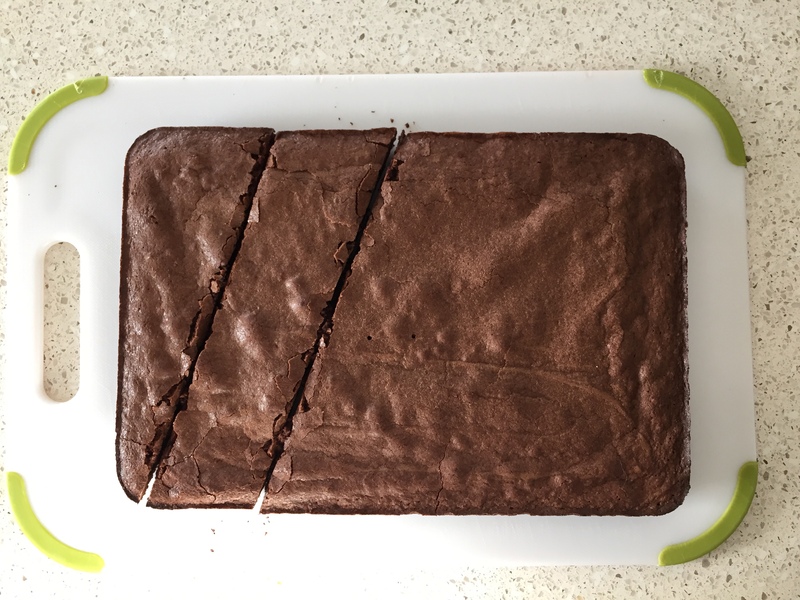 Thanks for following along on my baking adventures!